The SULOFRI-3M Reattachment kit is for those dancers who anticipate the need to change the configuration of their SULOFRI stick-on soles by switching between the SULOFRI-SD (suede disk) and the SULOFRI-HD (hard disk, made of the same material as the 3-inch outer SULOFRI disk). 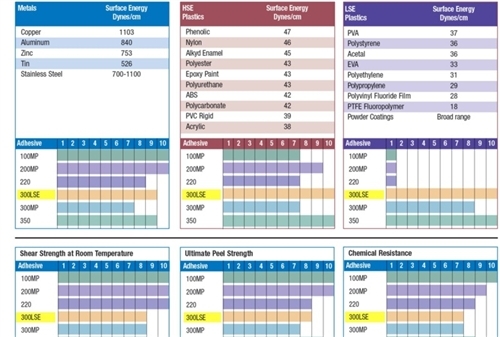 Both the SULOFRI-SD and SULOFRI-HD disks are equipped with 3M 300LSE industrial-strength double-sided adhesive. This adhesive is very strong, but only when being attached for the first time. After SULOFRI-SD/HD disks were removed once or twice, the adhesive will weakened. 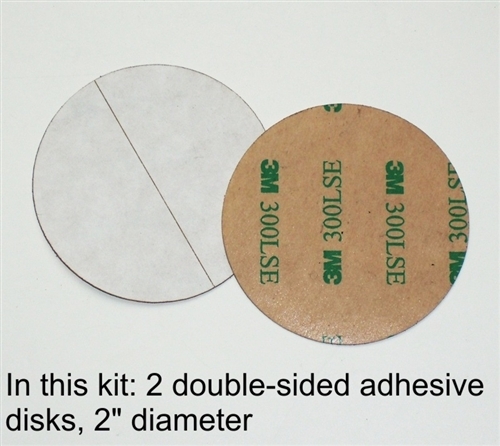 Therefore, in order to reattach SULOFRI-SD/HD disks repeatedly, we recommend using the SULOFRI-3M double-sided adhesive disks to stick them back on. 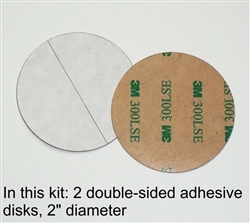 Included in this kit are two double-sided adhesive disks. Note: This product is useful only in connection with the SULOFRI stick-on suede soles made by and sold exclusively by Soles2dance.